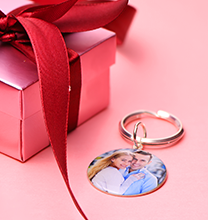 Melt their heart with our exquisite Love Circle in Gold Plated! 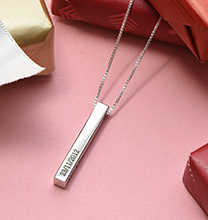 A very special necklace that’s perfect as an anniversary or Valentine’s Day gift, Mother’s Day gift, or “Just Because,” this wonderful piece sends multiple messages while serving as a gorgeous accessory that looks amazing with all their favourite styles. There are endless ways to make this necklace unique. Choose one of our pre-selected song quotes for the front, or come up with a short quote of your own. This special message will be repeated again and again on the front of the pendant, adding a lovely touch of contrast and texture. 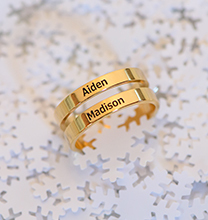 For the back, add free engraving: Perhaps you’d like to add both of your names, children’s names, or another special saying. 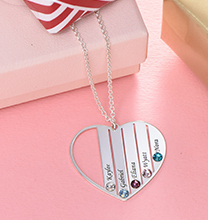 Last but not least, the pendant features a pair of cutout hearts, one larger than the other. 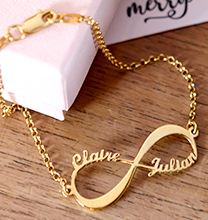 It’s the perfect necklace with engraving, and it’s certain to be cherished! Once you’ve decided on customised touches, our artisans will carefully add all the details to the disc, creating a one-of-a-kind accessory that will always remind the wearer of the special place they hold in your heart. This exquisite necklace is made with 18ct Gold Plated Sterling Silver (0.925). The pendant hangs from a matching Gold Plated Rolo Chain. Love this necklace and want to see more? We invite you to view our circle pendant collection for even more options, including this unique style in your choice of 18ct Rose Gold Plated or Sterling Silver. 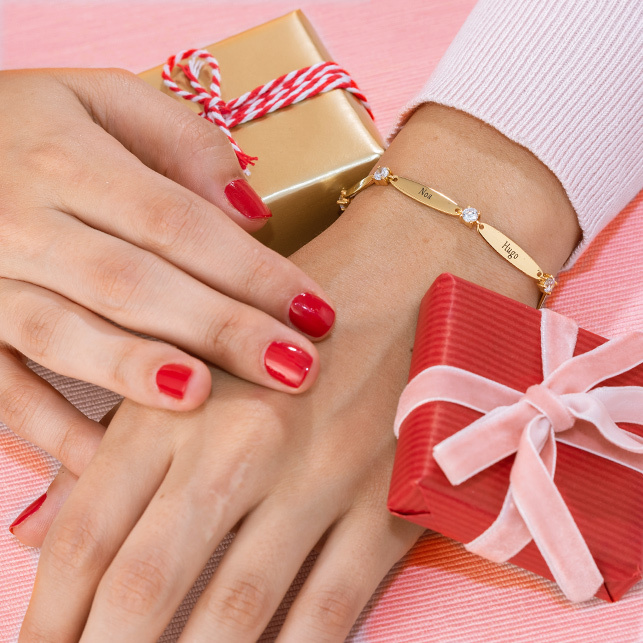 However you style it, it’s certain to make a heartfelt impression!